Jobs once performed by high school graduates now call for university graduates and postgraduates, not because the work demands postgraduate credentials but because, given the oversupply, they can be had for the price of undergraduate credentials—or less. The fluidity in the labour market continues because of a spate of free trade agreements and freedom of movement across borders—for money and assets, but not people. Employers who can’t find the education they want at the price they want to pay for it in one country will happily relocate parts or all of their operations to one where the supply is cheaper and readily available. China is moving from competing on price to competing on innovation. It landed a lunar rover on the Moon on Dec. 14th, 2013. An Indian satellite is now in orbit around Mars. It sent its first photograph of the Red Planet back to Earth on September 29th of this year, less than a week after it arrived. The transition from high school to university has nothing in common with the transition to high school from public school. No laws oblige us to educate our children beyond secondary school. Unless postgraduate or specialized education is mandatory, where an undergraduate career ends is where the world of work begins. Employers are free to accept all comers, or none. Institutions of higher learning aren’t required to prepare our children for that world either. We pay our money and we take our chances. But we can improve the likelihood of translating higher education into a living wage by teaching our children how to factor an understanding of demand and supply into decisions about why they’re going to university in the first place. In his comments to the TEDxToronto Conference on October 2nd, John Cruickshank, Publisher of the Toronto Star and President of Star Media Group, spoke of the implications of young people’s not engaging with society because technology has replaced newspapers as the new distraction. To use his phrase, young people are “zoning out”. He spoke of voter apathy and how it threatens Canada’s democracy when elites fill the vacuum created by voters who are indifferent to the electoral and political processes. Another implication is the extent of our lack of knowledge about the land we live on and the extended family of which we’re a part: 35 million of us spread across 6 time zones. As of this moment, employers have little taste for degrees in the humanities. There are many reasons to hope that that will change, but when is anybody’s guess. Our priority should be to better align higher education with what we discover by exploring and learning about what Canada needs so that our children can find employment, not unemployment, underemployment or unpaid internships. This year has taught us a lot about what this country means to us. Cruickshank was right when he talked about engagement. A quick glance at the calendar says we’re a little over a month away from New Year’s Eve. Maybe this will be the year we resolve to learn more and care more about this place. 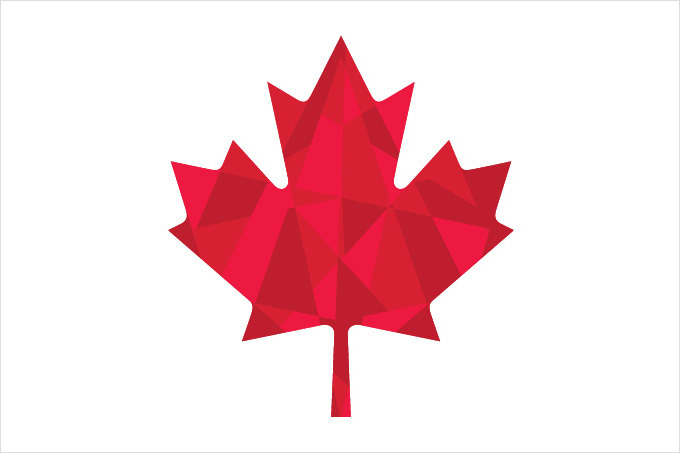 This entry was posted in Applications to career management, Education & Starting a Career, Future threats and opportunities, It's the economy, The state of the nation, The state of the world and tagged Canada's democracy, competitiveness, engagement, voter apathy on November 12, 2014 by Neil Morris. The 2010 – 2012 Gallup survey State of the American Workplace: Employee Engagement Insights for U.S. Business Leaders showed that “7 out of 10 employees have ‘checked out’ at work or are ‘actively disengaged’ ”. The estimated cost to the American economy: $450 – $550 billion annually, enough to pay off 92% of Canada’s national debt. Coach managers, and hold them accountable for their employees’ engagement. Define engagement goals in realistic, everyday terms. Find ways to connect with each employee. In its report, Gallup blames managers for failing to engage their subordinates. But what if the managers aren’t engaged? What if a trail ran through all of them all the way up the line to the office of the Supreme Manager, the CEO? After all, where do corporate policies and practices originate that have to do with an organization’s values and whom and how it brings them into the enterprise in the first place? Somebody made the final decision to hire or promote those managers. How many of those decisions were bad decisions? And who’s going to take the fall for them? Maybe, just maybe, the disengagement malaise isn’t about managers who didn’t do their job. Maybe it’s about something deeper, like the way business dehumanizes people. It’s not that we don’t understand that bottom lines and EBITDA and ROI and ROA and a boatload of other acronyms define whether a business is succeeding or not. It’s just that business has forgotten, or has chosen to forget, that employee numbers have faces and families and lives away from the office (remember those days?). They’re the ones who talk to HR (once known as Personnel) once every so often when they’ve had it up to here with that manager who was supposed to engage them, didn’t and probably couldn’t. I applaud the Gallup effort. Their recommendations make a lot of sense. But just because Gallup sees the wood for the trees doesn’t mean that the people at the top do. Or that they’ll adopt or implement them. Why would they? They’ve managed to avoid doing it up until now, haven’t they? William Wordsworth may just have had it right when he penned The world is too much with us. These days, everything we see and do and enjoy and cherish has a price tag on it. Engagement is a wonderful concept, but not when it comes from the lips of someone who just got the memo. All things considered, people still have the capacity to recognize sincerity when they see and hear it—and when they don’t. On the front page of The New York Times International Weekly insert in the Toronto Star (June 30th), you’ll find an opinion piece by Peter Catapano entitled The Humanities Prove a Hard Sell During Hard Times. It recalled a conversation Bruce Stewart and I had with a professor at Northern Arizona University not so very long ago about the value of an Arts degree in “these hard times”. Soon after reading this morning’s article, the line in Woodsworth’s poem came to mind. I should point out that I’m a Science man, not an Arts major. I can’t say for sure when I first came across the opening line in Woodsworth’s poem. But what I can say is that it captured a sentiment that a lot of people are expressing—or at least, thinking about. It’s about the human condition. Fine art, philosophy, sculpture, music, literature, poetry: they’re all about the human condition. For a lot of people, EBITDA isn’t, but that doesn’t mean that we should ignore them, or that we can afford to. Steve Jobs respected and incorporated the human condition into everything Apple conceived. I was a late convert to Apple. I love my iMac and my iPhone. But, and I say this with all due respect and admiration, I can’t frame and hang either of them on my wall, although I can listen to Madama Butterfly and look at art associated with the opera on both of them. In his post of June 24th entitled What’s going on under the surface, Bruce delved into the need to remember that all that glitters is not gold when contemplating leaving one employer or one career for another, or starting one. We encourage our clients to look beneath the surface at internal workings as well, starting with candidate selection and evaluation and development because they reflect how management views the human condition. No one can predict with absolute certainty when the stress of these hard times will ease. What we do know for sure is that happy beats miserable hands down every time. The medical community has always known that. That’s why we advocate meeting with parents and their children at the beginning of their second to last year of high school when they have enough time to devote to deciding what will make them happy. And with people who want to do what they love and love what they do. This entry was posted in Applications to career management, Education & Starting a Career, Future threats and opportunities, Getting heard in a noisy world, Going Independent, Organizations, Personal and tagged engagement, the human condition on June 30, 2013 by Neil Morris.